Sir David Clementi has been Chairman of a number of organisations in both the commercial and not-for-profit sector. He has Board-level experience across a wide range of sectors: finance, property, mining, legal services, education and the Arts. From 2002 to 2008 he was Chairman of Prudential plc. Before joining the Prudential, David was Deputy Governor of the Bank of England for five years between 1997 and 2002. In addition to his membership of the Monetary Policy Committee, he was responsible for the day-to-day management of the Bank. Prior to joining the Bank of England, David worked at Kleinwort Benson for 22 years (1975-1997), including as Chief Executive (1994-1997). He has significant experience of governance issues in different types of organisations, covering both commercial and not-for-profit organisations. From 2003 to 2007 he was on the Board of the Financial Reporting Council, responsible for the Combined Code of Corporate Governance. He has chaired the Audit Committee of an international FTSE company, Rio Tinto, and acted as a Senior Independent Director and Chairman of the Finance and Audit Committee of the Royal Opera House. He also has significant experience of regulatory systems. He was a Director of the Financial Services Authority from 1997 to 2002. 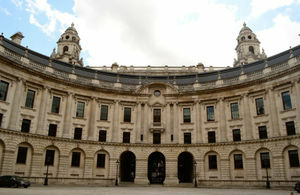 In 2003/4 he carried out a review for the Ministry of Justice of the regulatory framework for legal services in England and Wales, reporting to the Lord Chancellor in December 2004. The main recommendations of the Report formed the basis of the Legal Services Act 2007. In September 2015 he was asked by the Secretary of State at the Department of Culture, Media & Sport to review the governance and regulatory arrangements for the BBC, reporting in March 2016. The appointment process was run in accordance with the OCPA Code of Practice. It is a requirement of the Code that political activity is declared; David Clementi has declared no such political activity. Remuneration for the role of BBC Chair is £100,000 per annum.